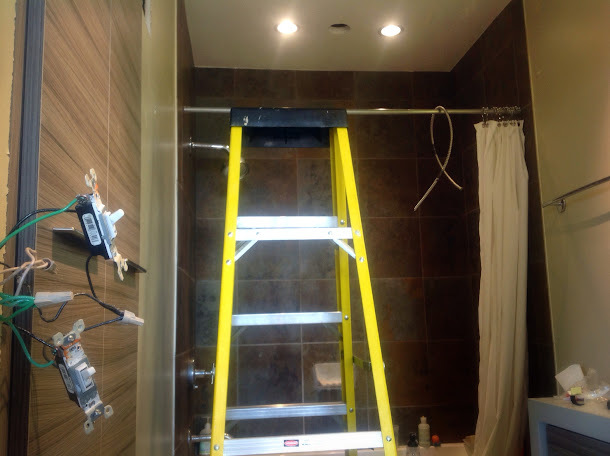 No more dimly lit showers for us! // And, oh! How I love this mirror. 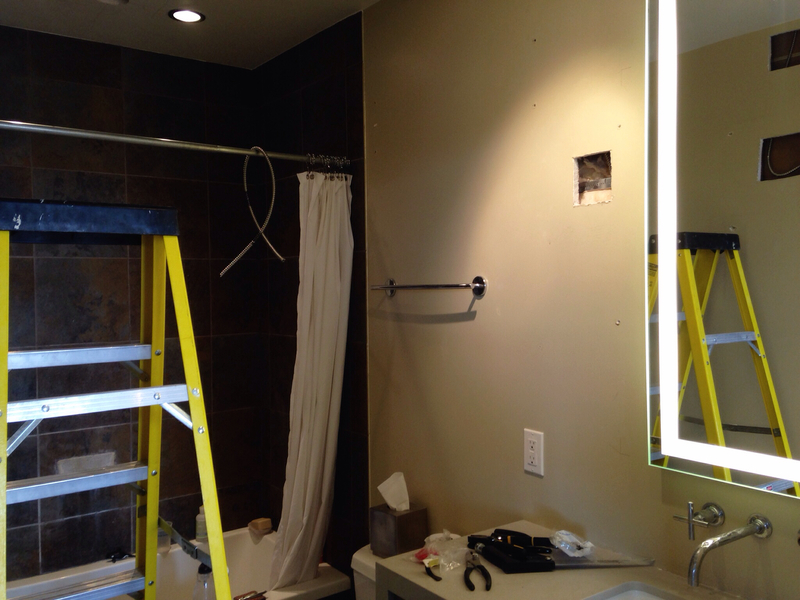 Currently... excited that our bathroom is all but torn to shreds at the moment as by the end of today, our new lighting will be completely installed! Lee has been hard at work the last few days to install two new shower lights, two new overhead lights above the sink and our new Electric Mirror. There are various holes in the drywall and wires are sticking out everywhere but, man does the lighting look good. Currently... loving Season 3 of Game of Thrones. Anyone else watching it? Currently... playing neighborhood sleuth from our 5th floor loft. As you know, we live in downtown SLC. Like most downtowns there are sketchy people walking around but one guy in particular has caught my eye the last few days as I look down on our busy street below. He walks up and down our street for most of the day, doing hand-offs to different people of what I assume are drugs, getting into various cars only to return a short while later to his foot patrol. So I've called the police dispatch and the drug enforcement hotline! And I've taken many a photo of his suspicious activities (with a few really good ones of his face). Hopefully my tips will help get this drug dealer off of my street. Don't mess with a nosy stay-at-home mom! Currently... trying to control myself with the homemade coconut butter I made this morning. Why haven't I tried making this delectable treat before?! And currently... on day 10 of my Whole30. After a few rough days (specifically days 7 and 8), I'm finally starting to feel the magic. I'm finally starting to get what all the fuss is about! Just tile, shower glass, & paint left to go! Your bathroom is going to be beautiful. 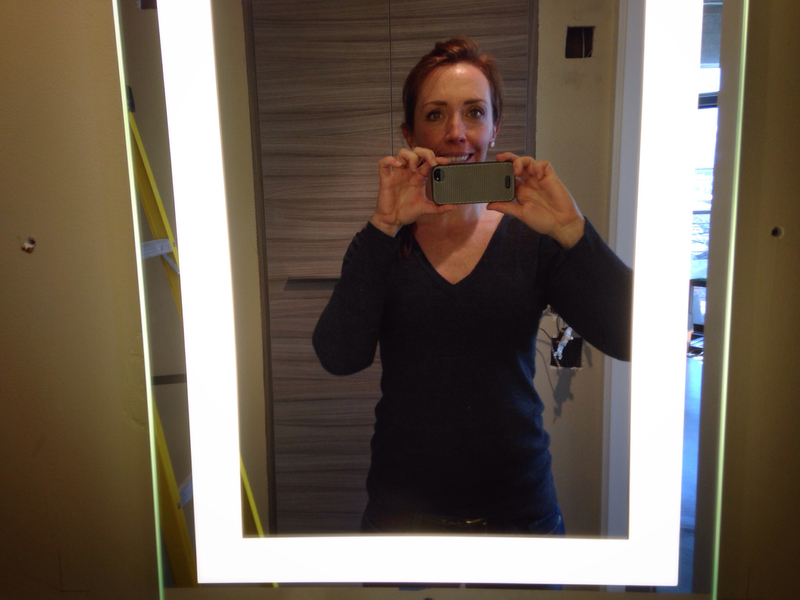 Love the new mirror with the back lighting. Very Fun! The mirror is awesome & I love the new taps! Awesome job tracking down that drug dealer. Your suspicions are always correct. I love that mirror so much. We're planning on remodeling at least one of our two janky bathrooms before our baby hatches & are hoping to find a lighted mirror like that too. You crack me up with your neighborhood sleuthing - I want an update soon!